State Police Back Warren, Snub GOP Establishmentt — In a slap in the face to Pennsylvania’s feckless Republican Party establishment, the Pennsylvania State Troopers Association has endorsed former Montour County District Attorney Rebecca Warren for Superior Court Judge. 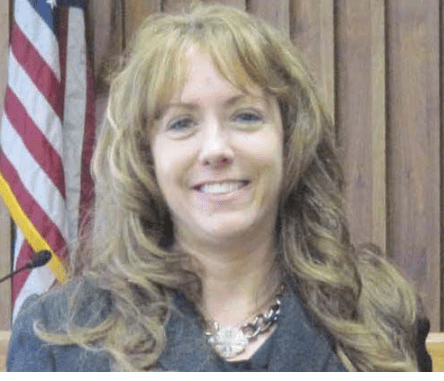 State Party boss Val DiGiorgio has pulled out all stops to keep the much admired Ms. Warren from getting the nomination even orchestrating a last-minute party endorsement for Megan King, an unheralded deputy DA from Val’s diminishing Chesco kingdom. The primary election is May 21. Two seats are being contested for 10-year terms on the court which is the intermediate appellate court for most matters in the state. Also on the GOP ballot is Cumberland County Common Pleas Court Judge Christylee Peck. Yep. The battle lines are drawn. Val and his fake cries of unity while ridiculing those who are brave enough to run without the party’s endorsement, the sensible thing to do as the establishment days are over. Rebecca was in 2nd after the caucus votes. She was robbed bc the PA GOP does everything they can to screw over decent candidates and suppress, intimidate those who they view as a threat to their status-quo agenda. Think they would’ve learned from the ‘16 Presidential election! Guess I’m a little confused. State police also endorse Judge Christylee Peck who has already served 8 years as a Court of Common Pleas Judge. Why is that fact not also stated here? Because the article is about Warren over King? You vote for two judges. There are 3 candidates running . Warren and Peck are the best !